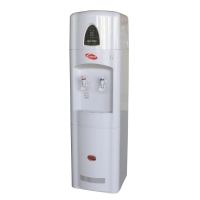 Reverse osmosis refers to a chemical treatment process for water. The process forces water through specialized membranes and exerts a certain amount of pressure on it to remove foreign contaminants, solid substances, large molecules and minerals. Reverse osmosis is a water purification system used around the world to help improve water for drinking, cooking and other important uses. Free of Lead According to the Centers for Disease Control and Prevention, the reverse osmosis filtering system can effectively remove lead, thus making it safe for consumption. Excess levels of lead in the body can result in increased blood pressure, problems with fertility and development of nerve and muscle damage. Lead may even lead to brain damage and cause severe anemia in children. Safe For Cancer Patients Cancer patients can consume reverse osmosis water during and after cancer treatment, reports Medline Plus. Cancer patients, most especially during radiation or chemotherapy, have weakened immune systems. Using untreated water for cooking and drinking that contains harmful micro-organisms and tiny germs can cause infection. 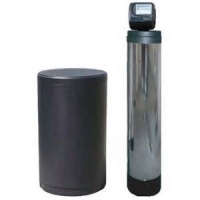 You Might Also Like Reverse Osmosis Purifier Vs. Ionization Reverse Osmosis System Vs. Water Softener What Do Carbon Filters Remove From Water? Does Reverse Osmosis Remove Fluoride? What Are the Health Benefits of Drinking Distilled Water? What Do the Colors Mean In an Ionic Foot Spa? The Best Brands in Water Filters The Effects of Sugar & Salt Water on Plants 5 Steps of Water Purification Steps of Water Filtration How to Brine Pork Loins Water Filters That Remove Total Coliform The Eight Steps Involved in Water Purification Natural Ways to Filter Water How to Make a Dead Sea Mud Body Wrap at Home Water Purification Advantages & Disadvanages Filters Cryptosporidium According to the CDC, reverse osmosis water does not contain cryptosporidium, a parasite found in contaminated water. Once ingested, this parasite affects the small intestines, causing stomach cramps, fever and diarrhea. Children who ingest this parasite can experience dehydration and malnutrition. Sponsored Links Consumer Reports Website Find the Top & Worst Rated Products Unbiased Tests, Ratings & Reviews www.consumerreports.org Removes Sodium The process of reverse osmosis removes sodium molecules from water, reports the CDC. Large sodium molecules cannot pass through the membranes of the reverse osmosis filtering system. Drinking reverse osmosis water therefore provides benefits to people with high blood pressure, kidney or liver disease or any sodium restrictions.